*The Following Illinois and Cook County supplemental forms are included as a courtesy with your order. This form is required even if the conveyance is exempt from transfer tax. The separate booklet of instructions can be downloaded as well. This declaration form must be filed when transferring real estate in Cook County. Exemptions are listed on page 2 of this document. This is a required form, unless an exemption is claimed. It includes a list of exemptions and line by line instructions. Rates and who is responsible for payment vary by community in Cook County. 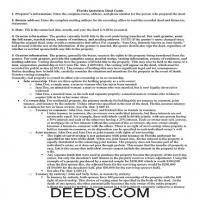 This affidavit is required when recording a deed in Cook County. 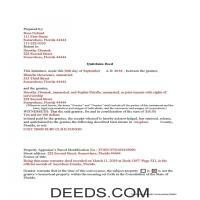 This form is required for residential property in Cook County. This form is required with every deed submitted for recording. This checklist from the county recording office lists standards, requirements, and supplements for recording a conveyance in Cook County. Your primary residence may qualify for a homestead exemption on your property taxes. 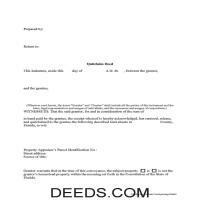 Get your Cook County Quit Claim Deed form done right the first time with Deeds.com Uniform Conveyancing Blanks. At Deeds.com, we understand that your time and money are valuable resources, and we don't want you to face a penalty fee or rejection imposed by a county recorder for submitting nonstandard documents. We constantly review and update our forms to meet rapidly changing state and county recording requirements for roughly 3,500 counties.